These are links to reference information used to prepare The Color Spot at HTML Station and links to informative color-related sites. Specification of the Cascading Style Sheets level 3 color-related properties. Reviews the color properties in place in CSS levels 1 and 2 and new properties for CSS3. This is the primary source material for the HSL, HSLA, and RGBA color definitions and SVG color keywords used in many tables I've prepared. Describes the W3C Recommendation, a modularized language for describing two-dimensional vector and mixed vector/raster graphics in XML. Basic data types include color specification. Sets out the technical details for a standard color space, sRGB, based on red, green, and blue values for use by Web software. By Michael Stokes, Matthew Anderson, Srinivasan Chandrasekar, and Ricardo Motta. Version 1.10, November 5, 1996. This is explained in up-to-date detail on the sRGB Web site which includes a list of color standards bodies. The Colourlovers site contains a large set of colors to explore, including submitted colors from users and rankings of colors. I found color names and values from a variety of sources. COLOR Universal Language and Dictionary of Names, by Kenneth L. Kelly and Deane B. Judd. National Bureau of Standards special publication 440. Washington, DC: U.S. Department of Commerce, National Bureau of Standards, December 1976. This publication helped me prepare the Universal Color Language chart. Munsell Renotation Data from Munsell Color Science Laboratory, Rochester Institute of Technology. I used these Munsell values to prepare the Universal Color Language chart. 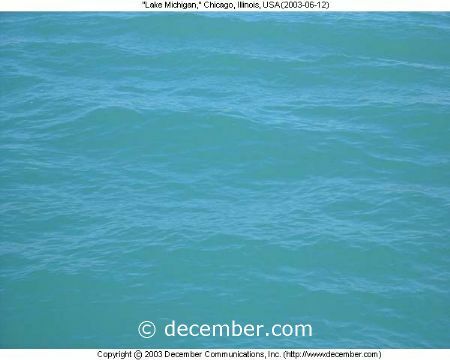 I prepared some color values from photographs (for example, lake michigan, #50A6C2) using Pixie to measure the color value of a representative pixel. Color-Name Dictionaries, by Aubrey Jaffer. Discussion of color names and dictionaries of standardized color names. "Mother of All HTML Color Charts," John C. Foster and Texas Precancel Club, shows a large index of color charts. Software used for color matching, harmonies, tint searching, calculations, and monitor calibration. I used the Color mathematics and conversion formulas page to calculate the HSL, CMYK, and RGB color codes based on the hexadecimal color code. Interactive calculators on this site allow you to make many calculations. Software that allows you to create color schemes and preview them on real examples. Web site includes discussion of color theory. Measures the color value of a pixel on the screen.